I’m still chipping away at this one. It’s been a work in progress for literally a decade but now that I’m all jazzed about it, I want it done RIGHT NOW. Also I eased into this, not quilting the blocks too heavily when I started. I’m nearing the end of the blocks and I’m going back to previously “done” blocks to add more stitching. Here are a few random blocks. This one below needs part of the right hand side of the background ripped out and re-done. Ugh. I fluffed the direction of a couple of those tiny lines. Also needs some threads buried. All these brown, batik, floral fabrics. I’m glad my tastes have changed. Also that red is not as RED as it looks. It’s my turn on the long-arm this month. Only trouble is I worked so hard in March, May, and September that I’m a bit completely short of unquilted quilts. Started October 4, 2007 (note the year!). I loved this quilt so much as I was making it. I worked on it in chunks of time over the past decade. Blocks in 2007-08. Sashing 2009-2010. Borders 2012? 2013? Somewhere along there I fell out of love with it, and out of taste with it too. While too proud of it to chuck it, I didn’t love it enough to ever finish it. I’m doing only one quilt this month and I’m going slow. I need to develop my long-arm skills and what could be more perfect than using this quilt? Here are some peeks for you. Some eight pointed stars for the cornerstones, which will be echoed elsewhere in the quilt. This is a 30wt variegated Sulky thread. And I’m thrilled to bits with this border. This is a before and after shot. – Ghost geese! No idea what to put in that tiny green border. It’s about 1″ wide. I am having such fun trying out loads of modern quilting designs, trying to choose the best design for each block while quilting consistently AND build my skills. It’s a tall order but so so worth it. * We will shortly resume regular posts of modern fabrics and quilts. Thank you for your patience during this traditional interlude. Linking up with Cooking Up Quilts, Sew Fresh Quilts, and My Quilt Infatuation. Yay! Which means I bought 7m of a backing I now dislike. It matches the front of course but sheesh….I am so glad my taste has changed. So I’m not doing the originally planned “whole cloth” backing with a centre seam. I’m cobbling together a few bits to maximize the use of scraps. Yay for modern pieced backings! And now I have 2.4m left over. It’s 3 Sisters, Shangri-La, by Moda. Any takers? Well more binding is stitched, so yay for that. 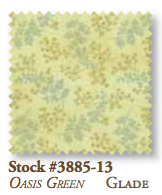 Been thinking all day about “my first quilt”, planning the backing for it, then thinking about the quilting. It’s a sampler quilt so I’ll keep to the sampler theme and do lots of different FMQ patterns. As my longest standing WIP it will be good to have it done even though I don’t need or particularly want this one anymore. DON’T GIVE UP YET OR I’LL NEVER GET IT DONE. It’s probably close to eight years that I started the darn thing. Wow – eight years of quilting!!! Yay me!